Oils can come from many sources including the humble coconut. 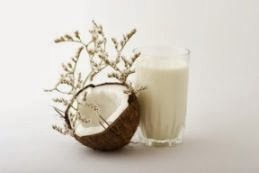 There are some various things that come from coconuts, including coconut milk, coconut water and coconut oil. Each has major benefits and can be used in some of my personal favourite recipes. Coconut milk. What is it? It is a mix of the coconut water and the meat of the coconut. It can also be a great substitute for the milk ingredients that are found in recipes such as smoothies, ice cream and even oatmeal because of its creamy milk like consistency. Coconut water is found in the centre of the coconut and as much fun as breaking open a coconut is, it is conveniently available in packages at your local supermarket. But one should consider that the easy way of getting coconut water is not always the most beneficial. If your coconut water is found in a package, it should not have any added sugar, which is a little more tricky to come across in stores. Coconut offers the benefit of boosting energy levels when feeling lethargic due its potassium content. A great electrolyte that also aids to the retain muscle mass. And finally coconut oil, which I use everyday as a moisturizer for my skin and hair. You can cook with it as well, which is a much healthier option because of its good fats that are found in it. The coconut oil is one of the few oils that penetrate the hair shaft to aid in strengthening the hair follicle. I use it as a moisturizer because it is not too thick, so it's easily absorbable on the skin. Amazon or eBay is a great place to search for healthy recipes with coconut ingredients. For great recipes visit http://bit.ly/1mjq9nM .